Paradigm Initiative a lancé ce 19 décembre 2017 son deuxième rapport annuel sur l’état les droits numériques en Afrique. Ce lancement s’est effectué lors du 12 ème Forum sur la Gouvernance de l’Internet (FGI) tenu à Genève, en Suisse du 18 au 21 décembre 2017. Le FGI est un rassemblement annuel multipartite des parties prenantes internationales sur la gouvernance de l’Internet dans le monde organisé par les Nations Unies. Cette plate-forme idéale a permis à Paradigm Initiative de faire le lancement son rapport bilingue sur les questions de droits numériques en Afrique en 2017. Intitulé « Bon pour les affaires : pourquoi le secteur privé doit travailler avec les citoyens et la société civile pour les droits numériques ? 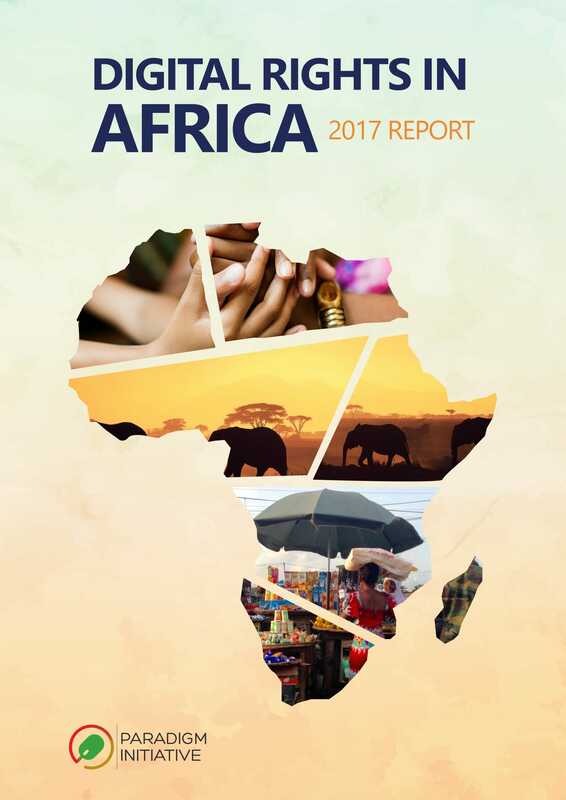 », le rapport 2017 s’appuie sur celui de 2016 sur les droits numériques en Afrique intitulé « Étouffer le tuyau : Comment les gouvernements nuisent à la liberté d’Internet sur un continent qui a besoin d’un plus grand accès » présenté au cours du 11 ème Forum sur la Gouvernance de l’Internet au Mexique. Le rapport 2017 en français et en anglais fournit des commentaires sur les violations des droits numériques, les politiques et autres développements connexes sur les libertés numériques en Afrique au moment où “le taux de pénétration de l’Internet en Afrique est de 28,3 %, donc près de 9 sur 10 citoyens des pays africains tel que le Togo, la Tanzanie, la Somalie, la Sierra Leone, le Niger, la Mozambique, le Malawi, le Madagascar, le Liberia, la Guinée Bissau, la Guinée, le Tchad, l’Érythrée, le Congo Brazzaville, la République Démocratique du Congo, les Îles Comores, la République Centrafricaine et le Burundi n’ont pas accès à Internet” précise le rapport. Le rapport présente également une analyse approfondie de l’état des droits numériques dans ces 21 pays africains de l’espace francophone et anglophone. Il indique entre autres que “dans toute l’Afrique, on a également observé un changement dans la façon dont les citoyens réagissaient aux violations de leurs droits numériques. En plus des recours directs et des appels aux agences internationales, les citoyens africains explorent d’autres options à savoir les recours à des actions juridiques nationales ou régionales pour défendre leurs droits numériques.” Le rapport présente aussi les pertes économiques énormes des différentes violations des droits numériques en 2017. Le lancement du rapport en 2017 comprenait un panel composé de Tolu Ogunlesi, Chef du bureau présidentiel pour l’engagement numérique, The Presidency, Nigeria ; de Titi Akinsanmi, Responsable des relations gouvernementales et de la politique publique chez Google; de Juliet Maina, Associée en droit des télécommunications, des médias et de la technologie à TripleOKLaw Kenya; et de ‘Gbenga Sesan, Directeur exécutif de Paradigm Initiative. “La liberté Internet et les droits numériques sont mieux réalisés dans le cadre d’un modèle multipartite, ce qui inclut le respect de la contribution et des idées du gouvernement. Les détenteurs d’une charge politique ne peuvent pas être ignorés.” a déclaré Tolu Ogunlesi. Si vous souhaitez avoir une copie du rapport en français ou en anglais, veuillez envoyer votre adresse postale à sodiq.alabi@pinigeria.org . Pour plus d’informations, contactez Sodiq Alabi (Chargé de communication) à la même adresse. The 2017 Digital Rights in Africa Report, titled Good for Business: Why Private Sector must work with Citizens, Civil Society for Digital Rights, builds on the 2016 Digital Rights in Africa Report titled, ‘Chocking the Pipe: How Governments hurts Internet Freedom on a Continent that needs more access’ launched at the 11th Internet Governance Forum in Mexico. The 2017 report launch featured a panel which included Tolu Ogunlesi, Head of Presidential Office for Digital Engagement, The Presidency, Nigeria, Titi Akinsanmi, Government Relations and Public Policy lead at Google; Juliet Maina, Associate in Telecommunications, Media and Technology law at TripleOKLaw Kenya; and ‘Gbenga Sesan, Executive Director of Paradigm Initiative. Tolu Ogunlesi said, “Internet Freedom and Digital Rights are best achieved within a multistakeholder model, and this includes respect for the input and ideas of government. Political office holders cannot be ignored in successful Internet Freedom forums”. Also speaking at the launch, Titi Akinsanmi reflected that “Regulation will never catch up with Innovation. The cause of development is best served when governments policies and law do not restrict freedom of expression and innovation, rather are skillfully and thoughtfully drafted to stimulate development”. Julie Maina, Associate in Telecommunications, Media and Technology law added, “Taking a Pan-African view of Internet Freedom and Digital Rights helps us to spot trends and work for the best outcome for all Africans”. For more information, please contact Sodiq Alabi (Communications Officer) sodiq.alabi@pinigeria.org. Sponsored by Hon. Chukwuemeka Ujam, the Bill has passed through several legislative processes since it was first conceived by Paradigm Initiative working with the NetRights Coalition in 2013 and finalised in 2015. First introduced to parliament in April 2016, the bill has now successfully completed its journey through the House of Representatives at the plenary session on December 19, 2017. 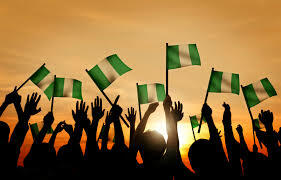 Digital rights and freedom are increasingly gaining relevance with increasing advocacy in Nigeria. Several civil society organizations exist to ensure that the rights recognized offline are on-boarded to the digital space as well. This is simultaneously in accordance with the advocacy going on internationally. Paradigm Initiative leads advocacy for these rights in Africa and has embraced policy and legislative intervention as a way to protect digital rights in Africa. The organisation has for years actively spearheaded projects and partnered with other interested civil society groups in ensuring that digital rights are upheld in Africa. The Digital Rights and Freedom Bill (HB.490) which is “A Bill for an Act to provide for the Protection of Human Rights Online, To Protect Internet Users in Nigeria From Infringement of their Fundamental Freedoms and to Guarantee Application of Human Rights for users of Digital platform and/or Digital Media and for Related Matters” is a draft piece of legislation currently on the floor of the House of Representatives in Nigeria. It seeks to guarantee human rights within the context of emerging innovative technologies, security concerns, increasing citizens’ participation in governance and engagements in the democratic processes in Nigeria. It is an amplification of fundamental human rights as provided for in the 1999 Constitution of the Federal Republic of Nigeria (as amended). The Bill is a potpourri of conventional rights with respect to sanitizing the online space with a rights-inclusive legislation and might represent Nigeria’s best attempt at balancing the friction between security and human rights in the digital age. Paradigm Initiative hosted its 3rd Internet Freedom Forum (IFF) in Abuja, Nigeria, August 22-23, 2014, at 3J’s Hotel, Abuja, Nigeria. The proposed outcome of the forum was clear, which was to kick-start the process of drafting an Internet Civil Rights Framework for Nigeria, which would be shared with National Assembly. Conversations at the forum identified emerging issues around surveillance, terrorism, the proliferation of biometric data collection, online harassment and a host of other issues peculiar to the digital realm and use of technology and observed that draft and existing legislation touching on Internet use in Nigeria has tilted the scale towards security at the expense of human rights. At the end of the forum, participants drafted an Internet Freedom charter for Nigeria and committed to working with Legislator to promote this as a National law to codify the rights of citizens in the use and deployment of Internet technology. At the end of the forum, aside from having a draft Internet Civil Rights Framework for Nigeria, participants formed into the NetRightsNG coalition to promote this objective. The coalition has since grown into a bigger platform addressing Internet Freedom issues across Africa since April 2017. However, between August 2014 and April 2016, not much was heard about this initiative; meanwhile, a lot of behind the scene work was ongoing to realize this objective. In order to ensure that the draft Bill meets required standard of a legislative draft, Paradigm Initiative engaged the services of a law firm wit a specialty in providing expert legislative drafting, and legislative advocacy services. Also, Paradigm Initiative with support from coalition members held several meetings to review the draft bill and held press conferences to intimate the press on the development. For example, a review meeting held on the 15th April 2015 at Tawona workspaces, Abuja and on April 16, 2015, a press interactive session held at Paradigm Initiative’s Abuja office to brief the press on the content of the draft legislation. Aside those who were physically present at the review meetings, many members of the NetRightsNG coalition contributed remotely throughout the review process. The NetRightsNG members worked with the Paradigm Initiative Nigeria ICT Policy team to edit the draft Bill with significant improvements on the earlier version. Also, along the line, several consultations were held to identify a sponsor for the Bill at the National Assembly. In November 2015, after reviewing the list of legislators recommended and assessing level of interest and commitment, Paradigm Initiative team met with Chukwuemeka Ujam, honourable member of the Nigeria House of Representatives, representing representing Nkanu East/West Federal Constituency of Enugu State who is also Vice-Chairman of the House Committee on Telecommunication and shared the draft Bill with him to sponsor as a private member Bill in the House of representatives. Despite commitment shown by the Honorable, not much happened until March 2016, when at the 4th edition of Paradigm Initiative’s Internet Freedom Forum, he made a commitment to ensure the Bill passes at least two legislative hurdles at the House of representatives before the end of the year and true to his word, the Bill passed through first and second reading respectively in April 20, 2016 and June 22, 2016 and in surpassing that expectation, a public hearing for the Bill was held on December 5, 2016 where inputs from several stakeholders were captured by the House of representatives’ committee on Human Rights. The committee was tasked by the Speaker of the House and the committee of whole to work on the Bill and capture stakeholders input. It must be noted that to mitigate possible antagonism against the Bill, Paradigm Initiative held a stakeholder roundtable on the Bill at Rockview Hotel, Abuja on September 22, 2016 to woo stakeholders on the importance and need for the Bill. The roundtables was attended by a variety of stakeholders including the National Institute of Advanced Legal Study (NIALS), Policy and Legislative Advocacy Centre (PLAC), National Human Rights Commission, the proposed custodian of the Bill, The Nigeria Communication’s Commission (NCC), The Nigeria Internet Registration Association (NIRA), The Guild of Professional Bloggers of Nigeria (GPBN), Committee to Protect Journalists (CPJ), popular social commentator and blogger Japheth Omojuwa, Dapo Olorunyomi, publisher, premium times, and Hon. Chukwuemeka Ujam who is the sponsor of the Bill. A press Interactive session was also held immediately after the roundtable. Many members of the NetRights coalition and others have actively been working hard to ensure the Digital Rights and Freedom Bill gets passed. For example, In June 2017, Media Rights Agenda, a member of the coalition hosted an Advocacy Workshop for CSOs on the Digital Rights and Freedom Bill in an event aimed at drumming support for the Bill and enlisting more civil society in the advocacy for the passage of the Bill and to build a larger constituency of support behind the Bill and the advocacy for its passage to improve the chances of passage and ensure that the content is not compromised. Also, the famous Policy and Legal Advocacy organization which works to promote citizens participation in public policies and engagement with public institutions in Nigeria, PLAC (Policy and Legal Advocacy center) did an analysis of the Bill on its platform and released an infographic to educate the public about the Bill in July 2016. Several advocacy meetings with members of Nigeria’s House of Representatives held to drum support for the Bill as it nears 3rd reading in the parliament. On October 10, 2017, after a very long wait, the committee on Human Rights laid the report of the Bill before the house for consideration. The hard work put in by the committee to capture inputs from stakeholders at the public hearing and come up with a clean and final copy of the Bill must also be commended. While the final copy of the Bill is yet to be made public, it is believed that most provisions of the Bill will be retained given that all stakeholders who participated at the Public hearing for the Bill supported the passage of Bill into Law. There are feelers that the ongoing conversations around the 2018 National budget in Nigeria and of course needed advocacy push are what stands between the bill and 3rd and final reading at the House of Representatives. This Digital Rights and Freedom Bill represents a wonderful collaborative effort between the civil society and federal legislators and as mentioned earlier, the Bill is Nigeria’s best attempt at creating the needed balance between security and human rights and in securing Nigeria’s digital economy. The question of how long it will take for the Bill to become Law is not one that may be answered in the affirmative. However, there is a strong belief and hope by promoters of the Bill that it will be passed by the 8th National Assembly and that same will become law within the current political dispensation in Nigeria. To make this happen, ever concerned stakeholders must demonstrate the will and commitments needed to achieve this advocacy objective given that election season is around the corner in Nigeria and that literarily means that the task is just about to get tougher.